Heavily active in the development of football in Vanuatu, Julia King has now taken up the challenge of women’s sports development in general following her election as chairwomen of the Vanuatu Women in Sport Commission (VANWIS). King, who is a graduate of the FIFA Women’s Football Leadership Development Programme and creator of H4F in Port Vila, said her appointment is a fantastic opportunity to expand the work she has been doing in football, into other sports in Vanuatu. 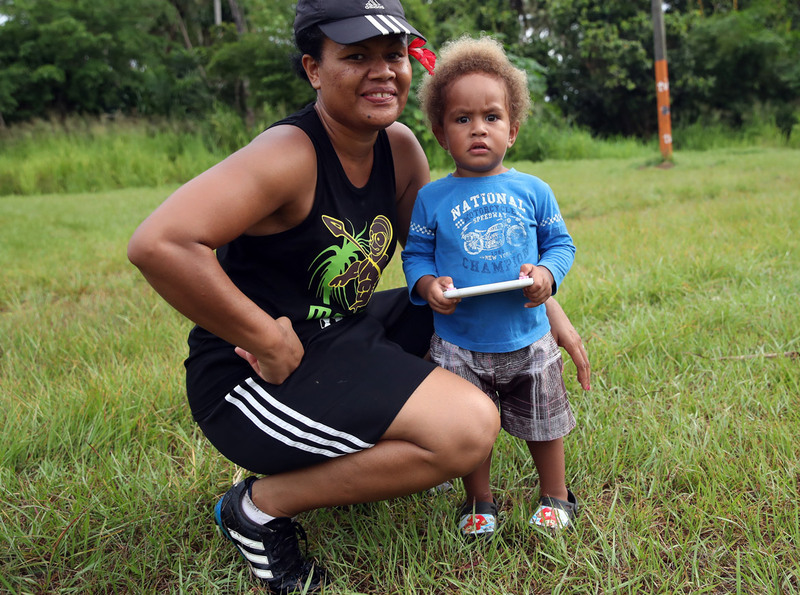 “The Vanuatu Women in Sport Commission is in the business of lifting all women up through sports because we were raised by strong women, and in VANWIS – raising women is raising the nation of Vanuatu,” King stated. “I am proud to have dedicated members bulked with a wealth of sports skills to work with me for the next term of four years. Joining chairwoman King on the commission are Jessica Richardson(Disabilities/Rowing), Debbie Masauvakalo (Beach Volleyball), Relvie Poilapa (Hockey), Nancy Miyake (Swimming), and George Regenvanu (Football) who are all new members. They are also joined by National Federations of Netball, Rowing (Allan Kalfabun) and Archery (Aurelia Boudier). The new term has opened the pathway to having on board a male member, Regenvanu, for the very first time since its establishment on 4 September 2009. “I take this opportunity to warmly thank the outgoing chairwoman, Dalsie Baniala, and committee who have contributed so much in committing themselves in the past terms of the Commission. “Physical activity and sport provide critical foundations that allow girls and women to lead healthy, strong, and fulfilled lives. VANWIS believes it is important for more girls and women to participate in sports,” King continued. The Chair’s long-term vision is to work towards more activities and events that encourage and promote gender equality and female empowerment in sports. VANWIS’s establishment was in line with the International Olympic Committee Mission’s Goal No. 7 which state “to encourage and support the promotion of women in sport at all levels and in all structures with a view to implementing the principle of equality of men and women”. The Commission functions under the umbrella of VASANOC, and is guided by its own terms of reference.